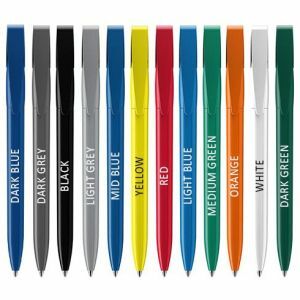 Promotional Cobra Ballpens, a twist action printed pen made from plastic pen with 3 parts (nose cone, barrel and clip) that each can be customised with your colour of choice from a selection of 12 solid colours. 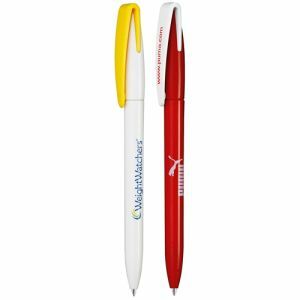 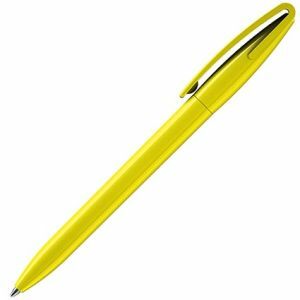 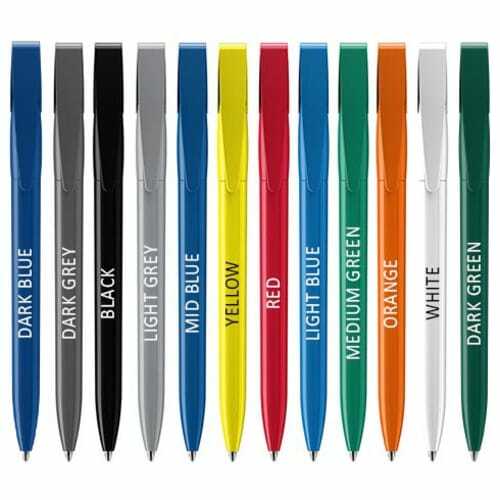 These printed Cobra Ballpens also have a choice of 2 great print areas for your logo or brand and boast a simple, smooth shape that is certain to advertise your logo in a professional, stylish light. 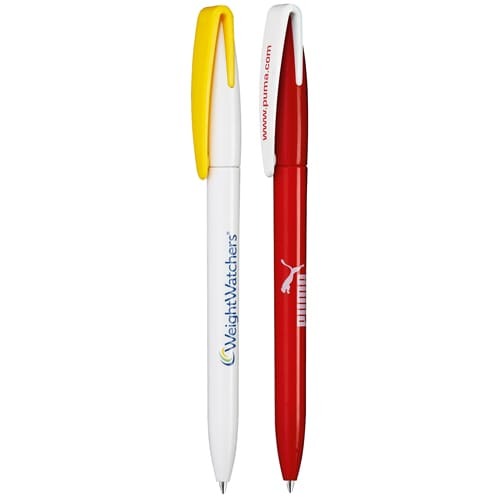 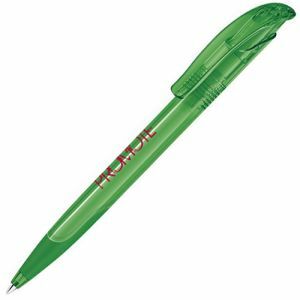 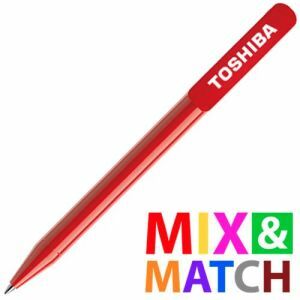 A great, low-cost promotional pen that is practical and useful to any client. 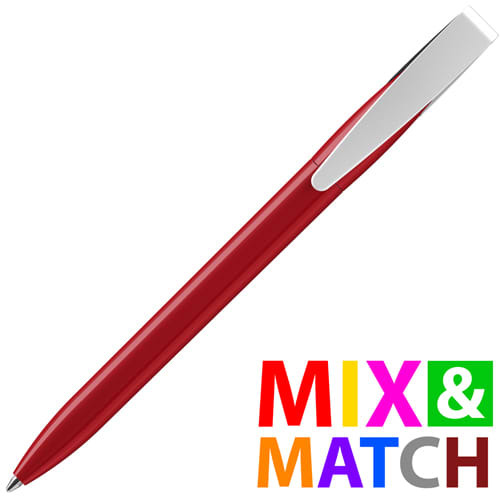 Pantone matched from 5000 units - price on application. 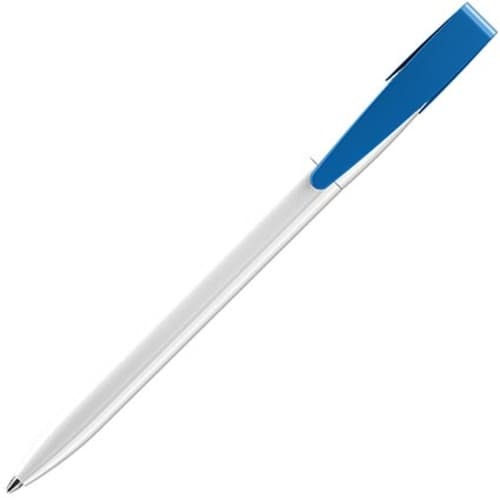 Comes with blue or black ink. Printing also available to clip, please contact us for further information and/or prices for this option. Prices include a colour personalisation as stated to barrel only. Prices exclude VAT, origination and carriage.